Description: The Volpe is a collaboration with Gabriele Frati and Gianni Pauletta of Fox Cutlery in Maniago, Italy. 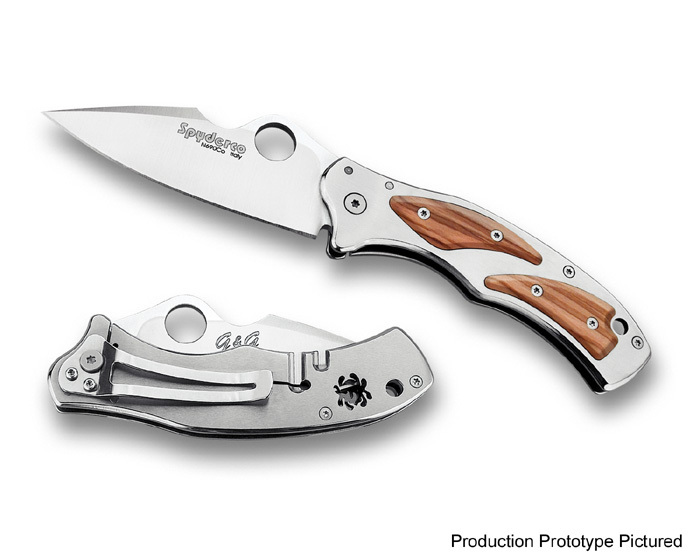 The knives draw upon the rich history of Fox Cutlery in Italy, combined with Spyderco’s influenced ergonomics. The Knives are made in Italy in their Maniago Factory. 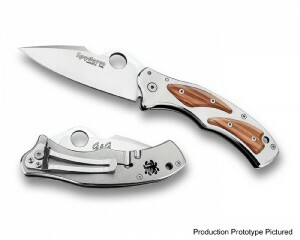 This entry was posted on Monday, November 2nd, 2009 at 7:56 pm	and is filed under Designer - G&G Design, Handles - Overlays, Handles - Stainless Steel, Handles - Wood, Lock - Frame Lock, Manufactured - Italy, Steel - N690Co, Type - Folding Knife. You can follow any responses to this entry through the RSS 2.0 feed. You can leave a response, or trackback from your own site.